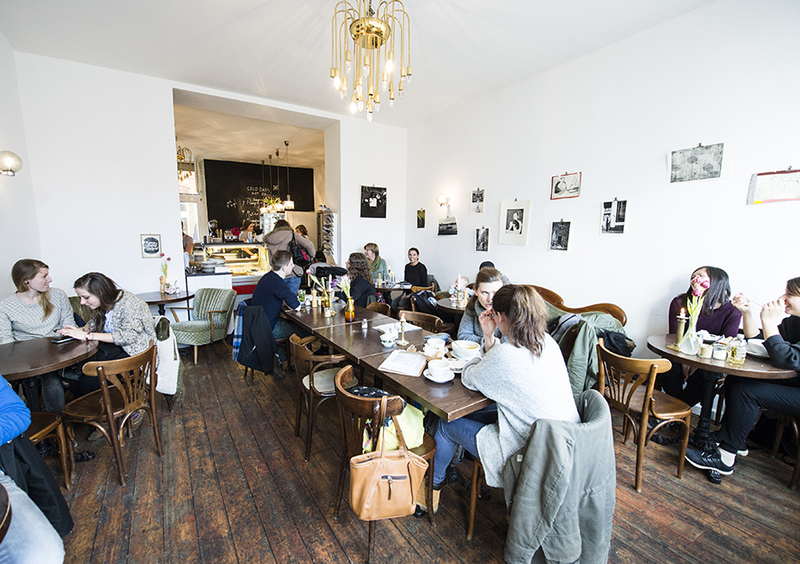 Top 5 Turkish Cafes in Cologne - renk. 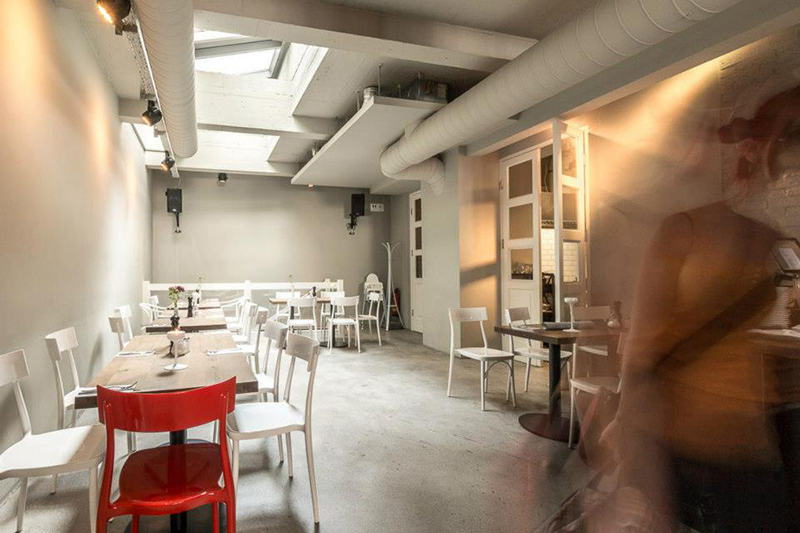 Top 5 Turkish Cafes in Cologne - renk. 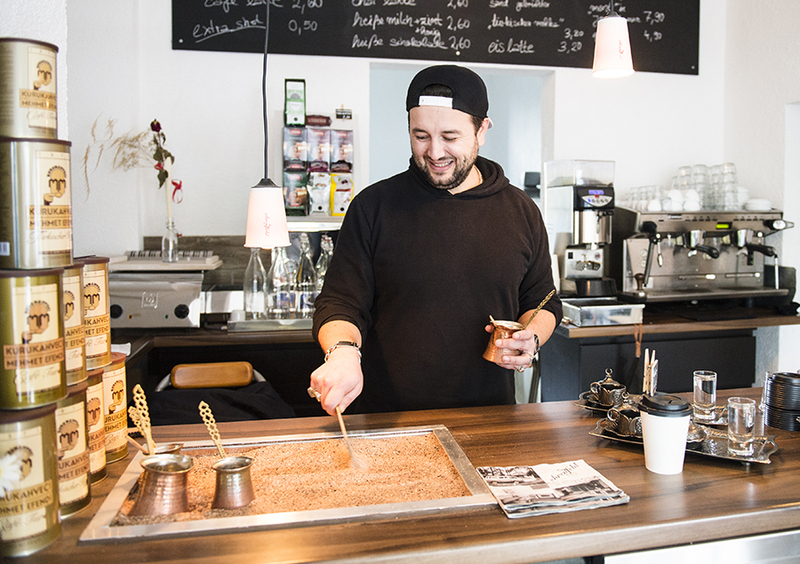 Along with many restaurants and snack shops, Cologne offers small oases where you can enjoy a freshly brewed black tea or mocha with some sweet or savoury treats. 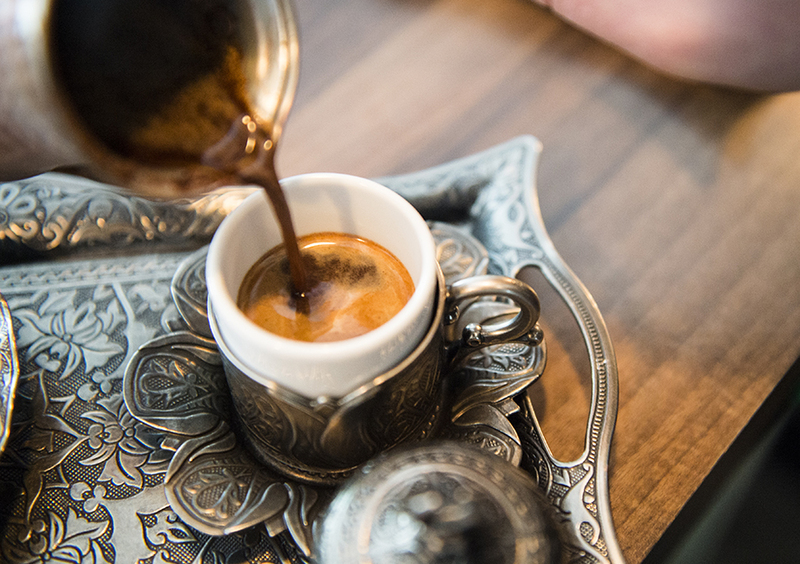 We’d like to introduce our Top 5 Turkish Cafes in Cologne to you. 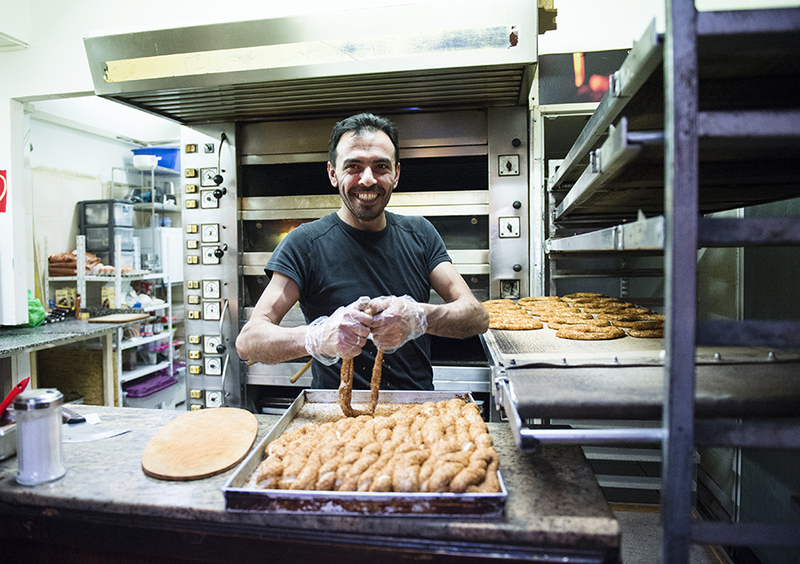 As the name suggests, in the land of simits you can get a tasty, crispy sesame ring (simit). But so much more is hiding behind the name: On the outside a Turkish bakery, inside, the shop surprises further with a large cosy room with Oriental decor. Everything is in warm colour tones and decorated with affectionate details, such as the showcase tables where visitors eat. 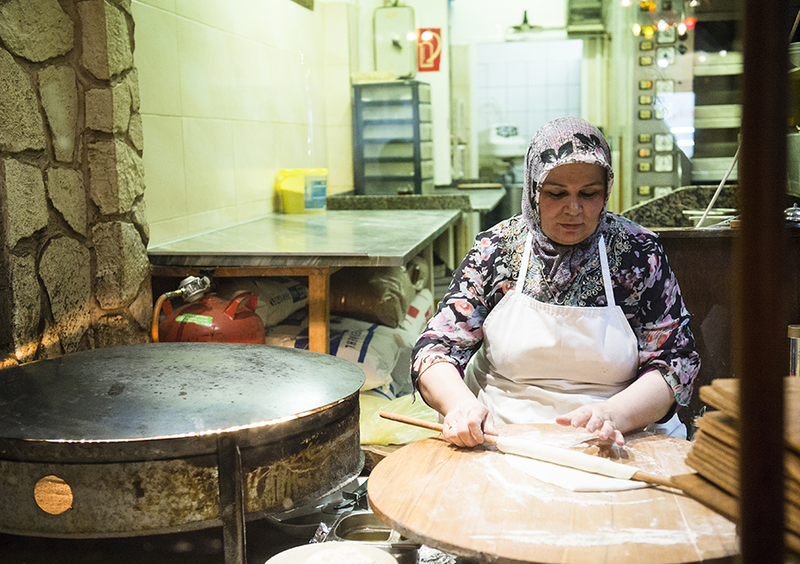 From the coveted seating niches, sitting on low benches and stools, you can observe the traditional preparation of gözleme (filled, thin flour cakes). They are freshly prepared to order and served on a wooden board. In addition, there is a large Oriental brunch-buffet (8 AM – 3 PM), various egg specialties from the copper pan (menemen) and a large selection of sweet and savoury Turkish pastries. Everything is made here in the house! Behind the large glass facade of the cafe, the warm light of the golden chandeliers and the carefully chosen wooden furnishing on the plank floor invites you to stay a while, especially now in the winter. 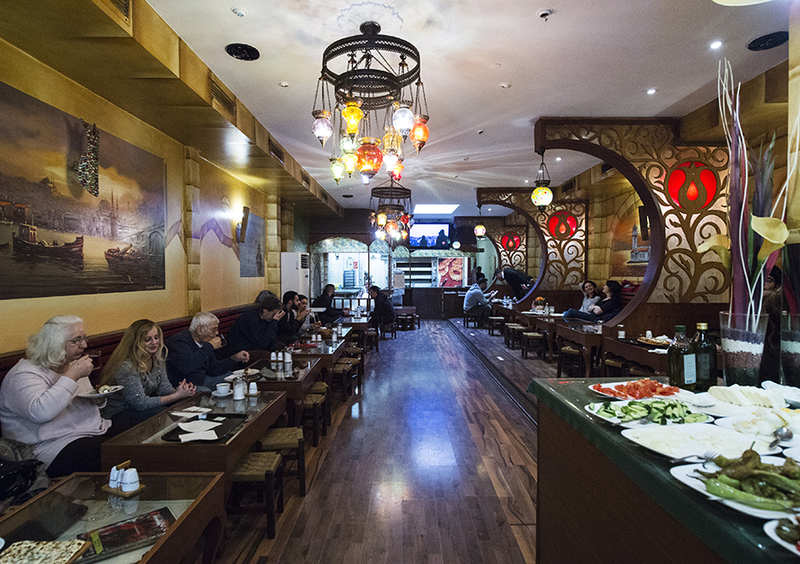 The nostalgic and stylishly furnished cafe is run by the sisters Gülsüm and Seher, whose Turkish roots are visible in the options from breakfast to lunch. Their snack creation, “Questchbrot” (engl. crush bread – ed.) is offered with sucuk (spicy garlic sausage) as well as lunch dishes which change daily. And there is always something vegetarian to be found. 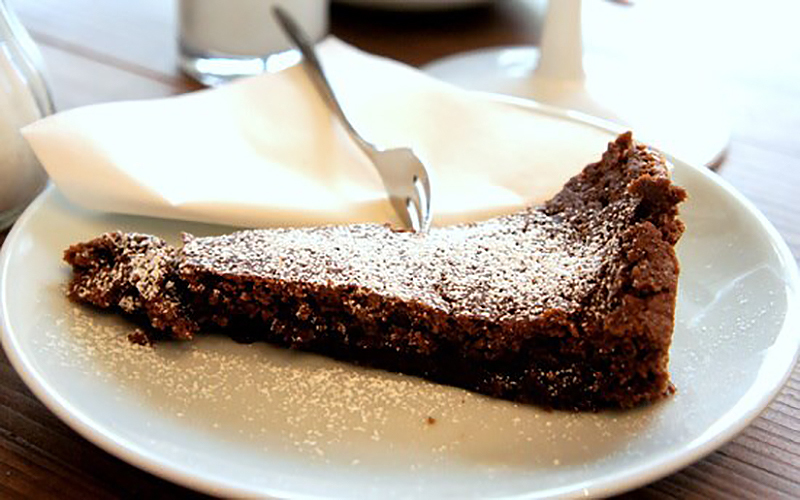 You can enjoy the homemade cakes with a large selection of coffees and teas. Along with all of the treats, there is also something for the eye: Much space is given to alternating exhibitions, especially by local artists. 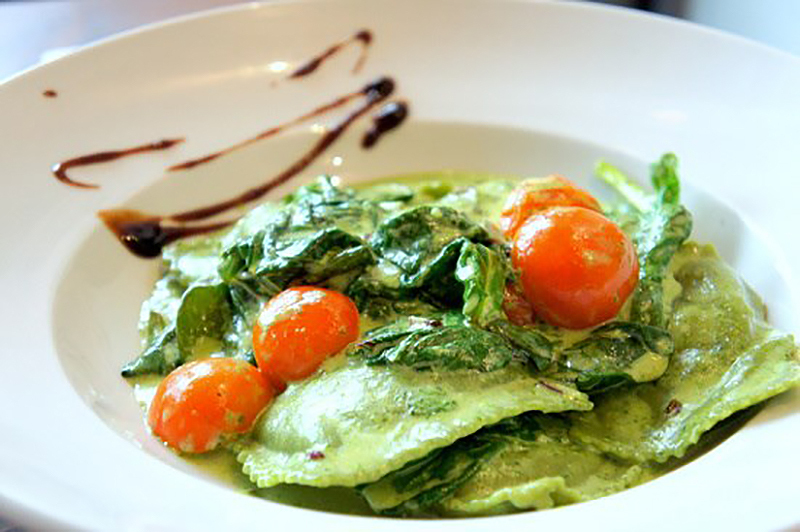 In Cafe Noa, culinary delicacies are served with good wine in a stylish puristic grey-white ambience. And you can enjoy a drink in summer and winter evenings in a small outdoor area of the cafe. 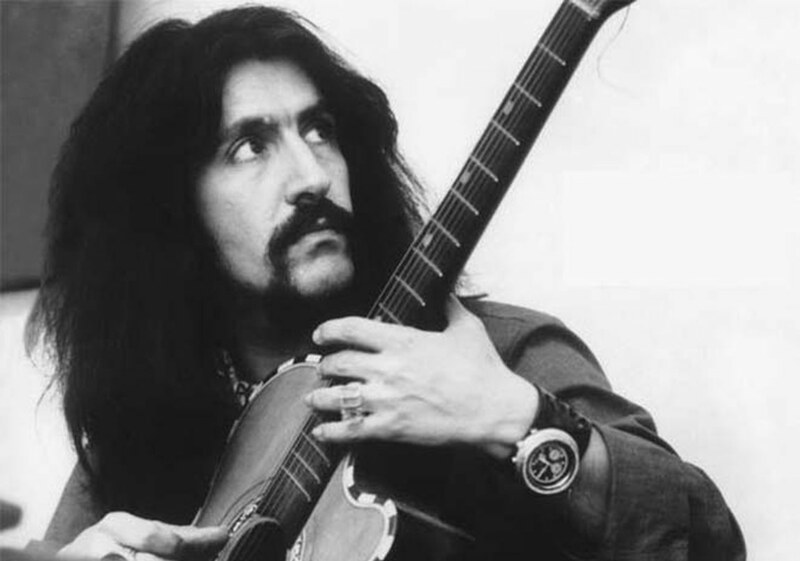 In the “Grauzone” (engl. grey zone – ed. 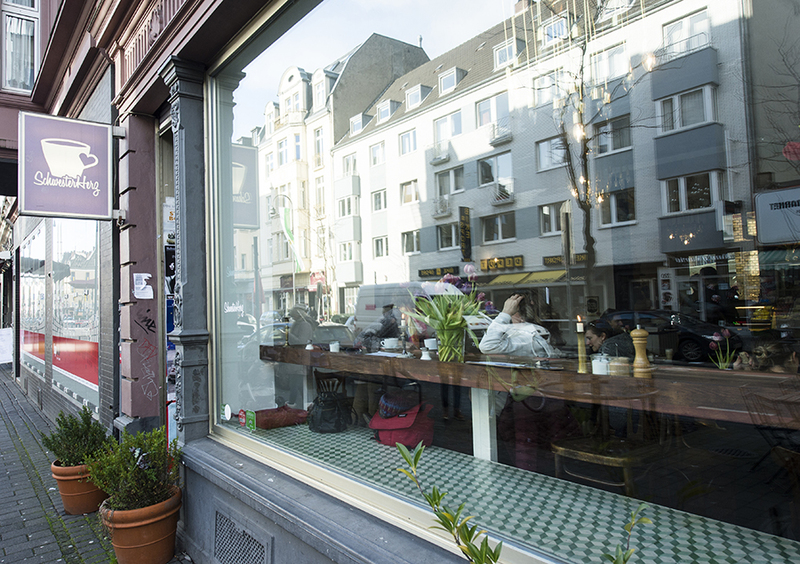 ), between the places to go on the Cologne Ringand the Belgian district, you can watch passers-by and entice friendly faces to join you for a chat at your table. Wonderfully served salads, Flammkuchen ( a thin-based pizza equivalent – ed.) and even mantı (Turkish dumplings with seasoned yoghurt) are served throughout the entire day. The extraordinary brunch on the weekend is also highly recommended. 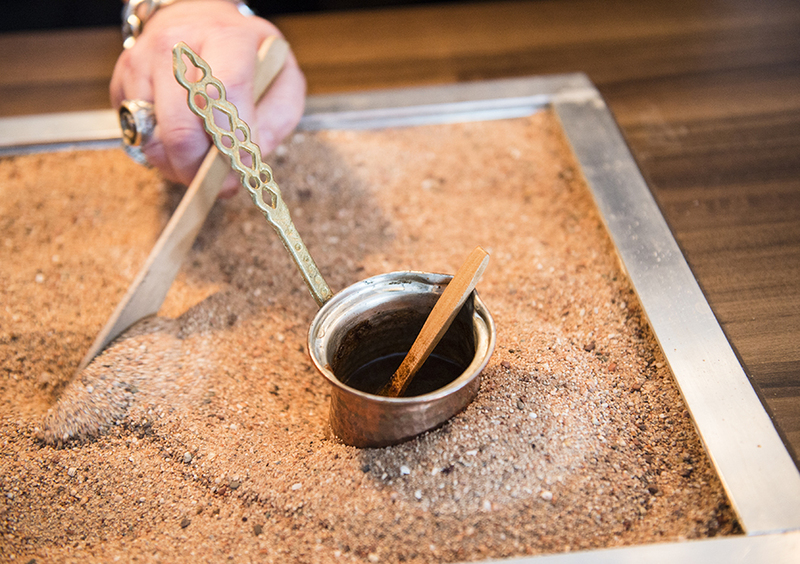 For those who’d like to enjoy the ultimate in carefully prepared and beautifully served Turkish coffee, you’ve come to the right place. 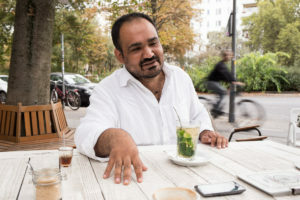 The mocha is personally brewed by owner Atilla Kızılkaya with lots of love in the traditional way in hot sand, and served with nostalgicflair . Most of all, he enjoys explaining more about the tradition of mocha brewing. 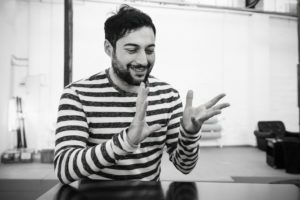 Atilla, who is creative himself, provides a lot of space for art, with monthly rotating exhibitions in his cafe. 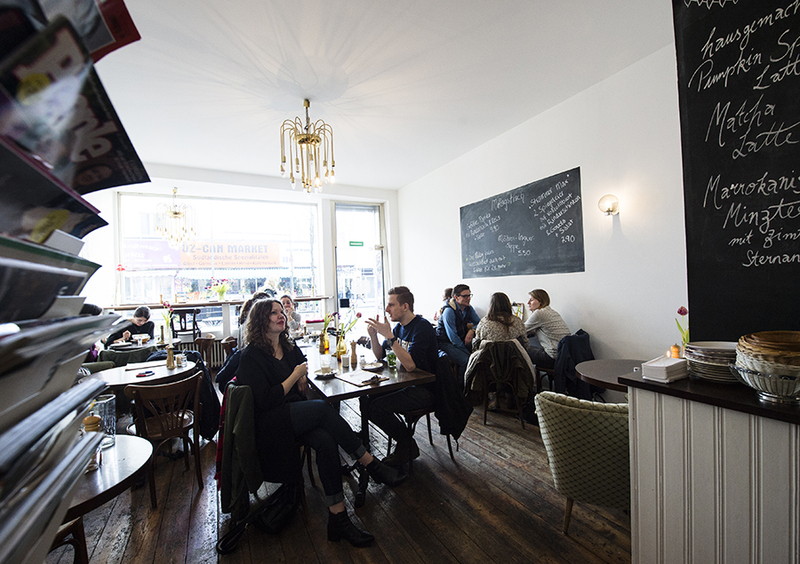 The small cafe, furnished with classic sofas yet still very hip, is located on the sunny side of Venloer Straße and will excite you with its homemade mantı (Turkish dumplings with seasoned yoghurt), börek, tasty sandwiches and sweet treats. Tatlı yiyelim tatlı konuşalım – Eating sweetly and speaking sweetly, as the Turkish saying goes. 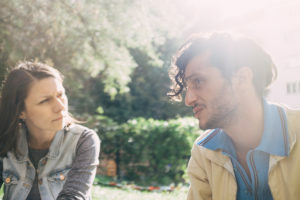 In Orientalische Feinkonditorei Hasan Özdağ, you won’t be able to save yourself from sugar-sweet conversations: Over 40 types of baklava, lokum (also known as Turkish Delight) and further magical treats make the decision a difficult one. 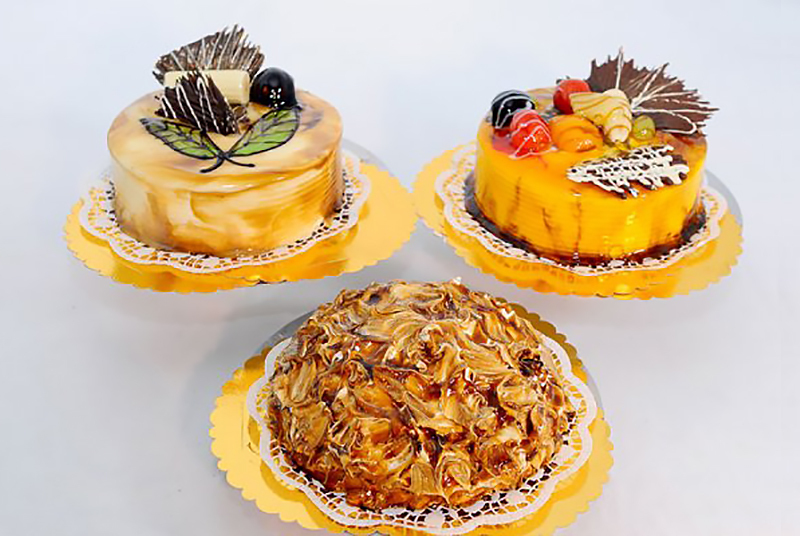 The entire selection is available as take-away and can be shared in large cartons with friends and family. Furthermore, the team can work magic in different forms, heights and colours for any occasion. 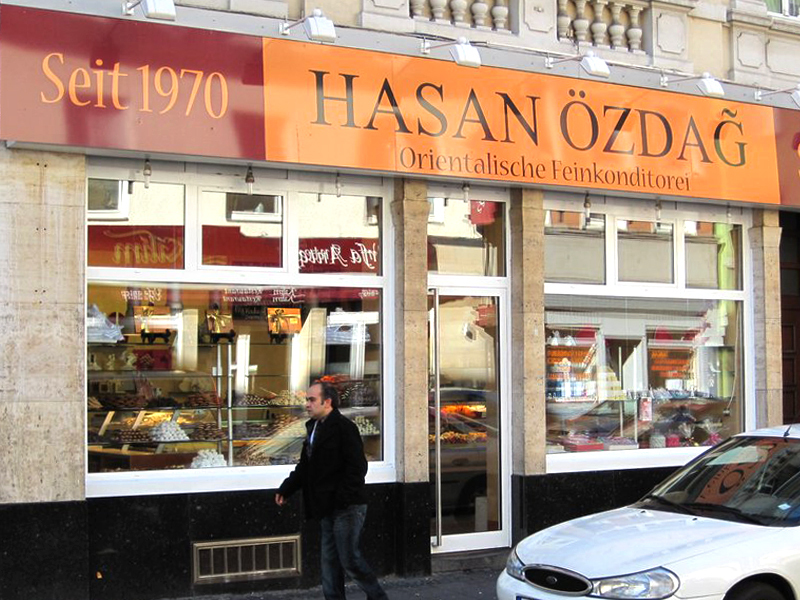 The Özdağ family, have been running the confectionary shop for almost 30 years and are famous beyond Cologne’s borders. 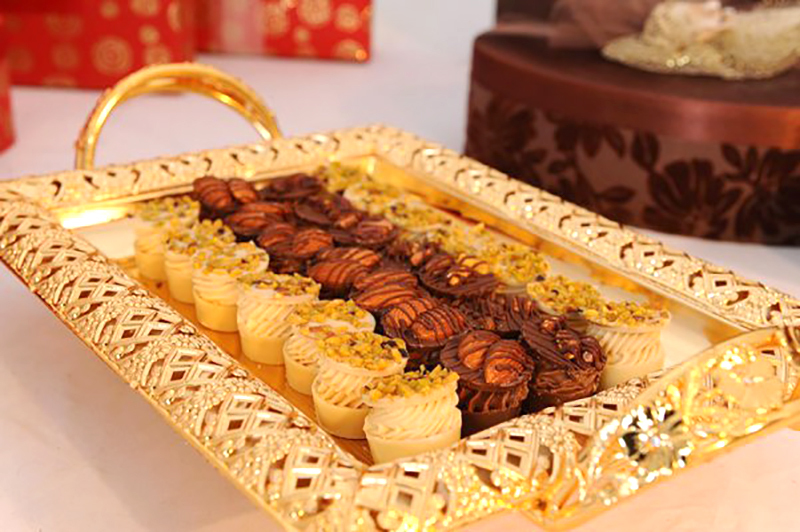 They are happy to see a rising number of customers of Syrian background, for whom they have expanded their range with specialities typical to the country.